A Year of Being Here: Richard Brady: "This Freedom"
to know and live my truth. "This Freedom" by Richard Brady. Presented here by poet submission. © Richard Brady. Note from the poet: "I am a Dharma teacher who writes an occasional poem. 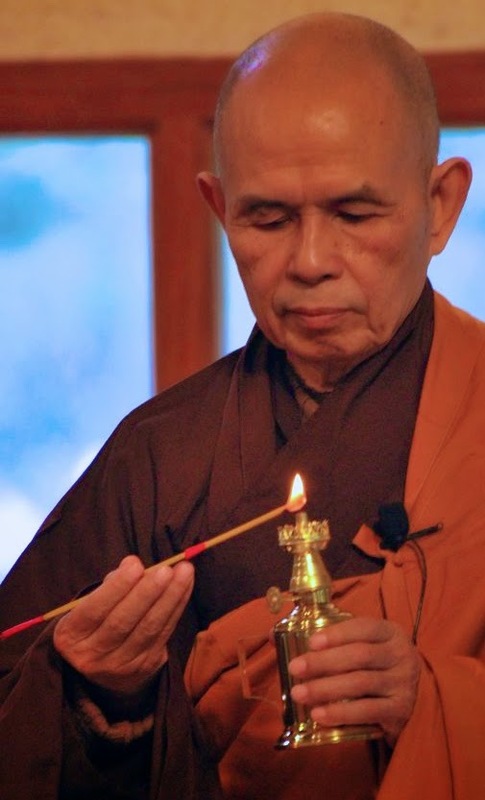 I offered the following poem on receiving lamp transmission [a beautiful ceremony investing a Buddhist student with teaching authority] from Thich Nhat Hanh in 2001." Art credit: Detail from an untitled image by an unknown photographer of Thich Nhat Hanh, great teacher of mindfulness and a mindfulness poet, during a lamp transmission ceremony.